How to Remove a Mole Naturally. 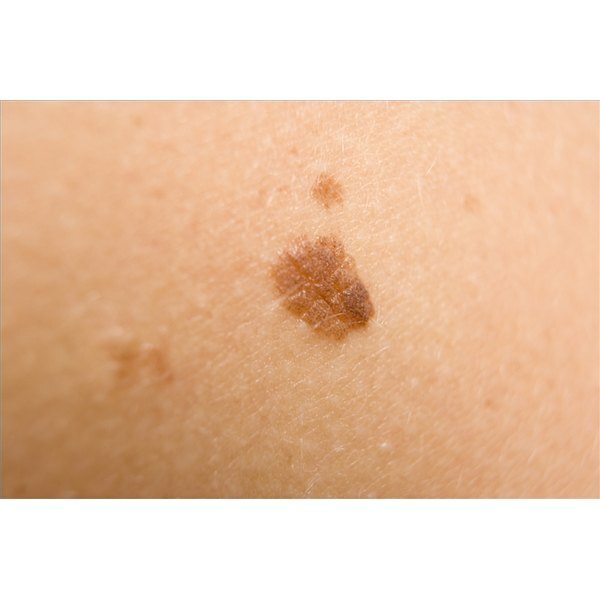 Professional mole removal is very costly and sometimes leaves scars on your skin. If your moles do not show any sign of turning into a serious problem such as cancer, you can try one of many natural remedies to remove them. Here are some home remedies that may help remove a skin mole naturally. Observe the size and color of your moles. Visit a dermatologist or a surgeon to inquire whether the moles need surgical treatment. If yes, get them removed professionally. If no, take steps to remove them naturally. Prepare a list of items useful in removing moles naturally. Cauliflowers, garlic, pineapple, castor oil, honey, fig stems and hot water with vinegar are considered effective in mole removal. Select only one from the mentioned items. Prepare cauliflower juice in a blender. Rub the juice on your moles daily until the skin peels off naturally. Grind a few pieces of garlic into a paste. Apply the paste on your moles and cover it with a bandage. Do this at night and remove the bandage next morning. Make fresh pineapple juice daily. Apply the juice to the moles until they weaken and disappear. Rub castor oil on the moles gently for few days until they gradually weaken and disappear. Apply honey on the moles daily. Wash the moles with hot water five to six times a day. Let your skin dry, then apply cider vinegar to your moles with cotton swabs. Let it sit for 10 minutes, then rinse with cool water. Make juice from fig stems (if you can find any in your area) and apply it daily to the moles until they vanish. If the mole is on your face, use milder home remedies such as honey. Never use any harsh natural remedies on children. The natural mole-removal process is slow and the success rate can vary from person to person.